Caution: Game contains disturbing scenes and coarse language. 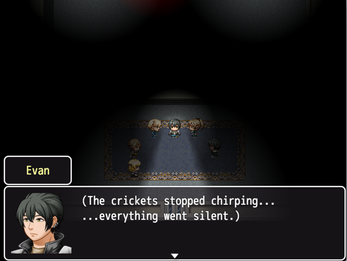 Evan and a group of his friends break into a seemingly abandoned facility. Things start to get weird, however, when a friendly group photo comes out really messed up... Asking out the girl of his dreams might end up being the least of Evan's problems. Puzzle Horror game made during PegJam 2017. Theme was "Nothing is as it seems"! Some imagery created with pix2pix. "On the Shore", "Fairytale Waltz"
Hey so did a LP of this game. I got 2 of the endings. Its a fun little game haha. 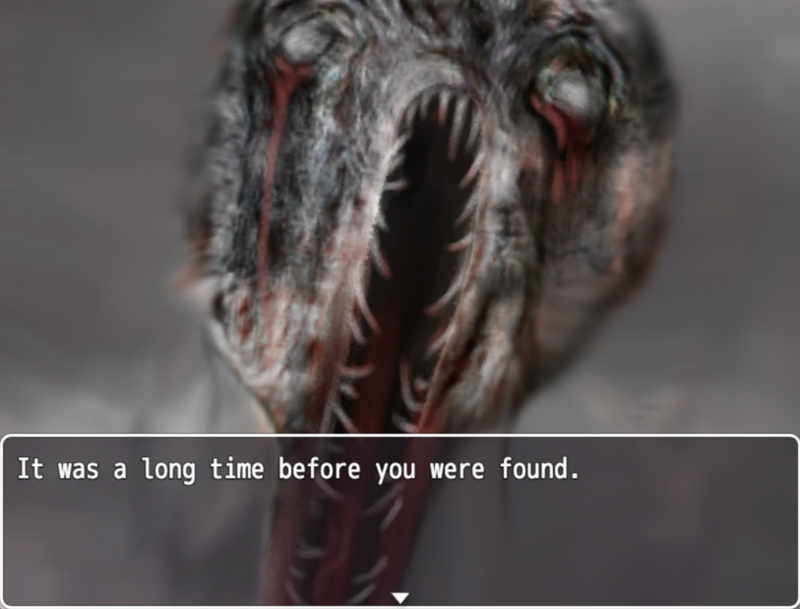 I love horror games and this gave me a little scare even if i did watch a friend play. This game is hella cool so far! Im having a slight problem though, when I go to the save menu when I click on 'file 1' to save it makes a buzzer noise? I'm on mac if that means anything. Hey, I'm glad you're enjoying it! Off the top of my head, I'm not entirely sure why it would be stopping you from saving, but it might depend on where you're attempting it. Can you save at all? Or is it a problem that only happens in a certain location? I don't necessarily understand how the main character can recognize the pictures despite how twisted they were, and you can softlock the game by going right instead of left. Otherwise, the beginning was pretty interesting. Hey, thanks for playing! It actually wasn't a softlock to go to the right -- the trigger that allows you to go through the vent is only enabled after you attempt to leave the room for the first time (which is when you first encounter the monster). And yeeeaaahh, we realized a bit after the fact that being able to recognize the messed up photos was kinda confusing, haha. That said, we've seen some comedy gold responses to how it was confusing, so ultimately worth it, in a way. I made a huge mistake and I am a really "disturbed person"
Bahahahaha! Congrats on finding the secret, you disturbed person, you! wish there was some way where you don’t strangle her. I had an idea of what was going on after the first encounter, but didn't see it happening exactly as it did. Very nicely done overall, story was very well told and it was a lot of fun to experience. Nice job! Really late response on this, I apologize, but I'm glad you enjoyed the game! Also, hahaha, congrats on finding the secret! *Rurr* Hello everyone, I'm definitely enjoying the spookiness that can be found here, unique and deep sounds and ambiance that helps build the atmosphere, unlike most other indie horror RPG's which sorta, don't have any tension, you know? I've already theorized 2 endings but I shall keep going and win - Hope people enjoy my gameplay with the totally original thumbnail. Haha, thanks for the Let's Play! Looking forward to watching through it! AAAANNNNNNDDDD I'm stuck lol. But so far I'm having a lot of fun with the characters and figuring out the story in general! I'm really curious to whats going on and I think the pictures are a nice touch. Thank you for creating this and I can't wait to see more! Hey, sorry about that! There's actually no ability to Dash in the game, else it would make the chase scenes too easy. There's a different way to get through the room, but you'll need to look around. I'm hoping to release an update to the game within a few days to remove any references to Dash so that it doesn't confuse folks. Thank you so much! We're glad you enjoyed it! This game was exceptional. Nothing was as it seemed. It was creepy and cool, puzzles weren't too difficult and I could easily progress through the story. I liked the idea of having branching endings, though I'm quite satisfied with the one I got. The ambient sounds and music were excellent, the sound is always something crucial in a horror game and it was done very well here. It's short, sweet and to the point, an excellent horror experience that I recommend everyone trying for themselves. I hope you don't mind but I recorded a let's play of the game. Thank you so much for your playthrough and comments! We enjoyed watching you play, and wanted to point out that you've got a great voice, haha. Glad you enjoyed playing it! It was my pleasure, I'm glad you enjoyed the video and thank you for the compliment! I'll be sure to check out some of your other work as well, and keep an eye out for any future releases. Best of luck! It's the kind of horror RPG that I love! 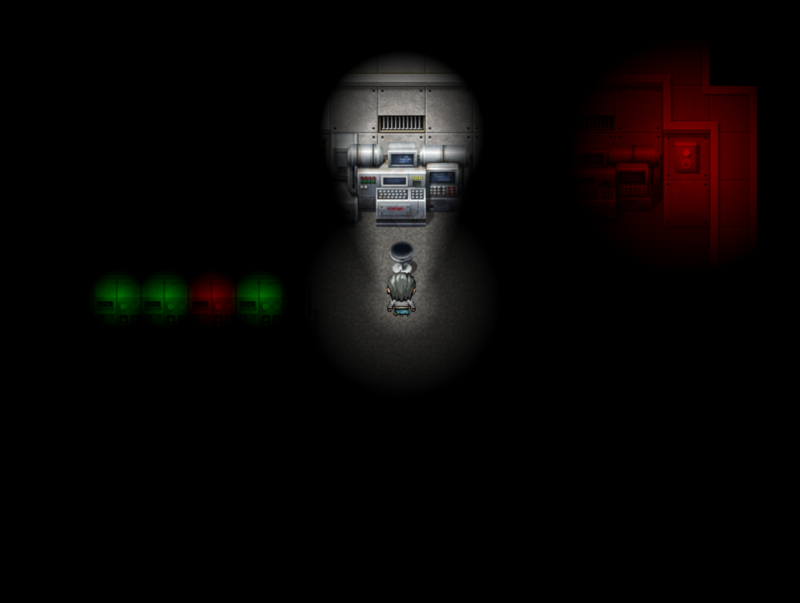 The monsters sort of look like SCP containment in 8 bit. You cannot out run the monsters though, they either run faster or equal speed at you. The puzzles difficulties are just right for me, maybe I played too many of these kind of games! I highly recommended!